Sgt. Tom McKane (Center) and Deputy Gabriel White, Lake County Sheriff’s Office, with Rick Pitner at the Lake County Bicycle Summit in Mt. Dora, FL. Lake County is a beautiful county and a particularly attractive cycling venue due to the differences in elevation that are unique to that part of Florida. The county attracts literally thousands of cyclists annually to ride and train in that environment. The county actively solicits cycling activities. The recent Mt. Dora Bicycle Festival drew about 1000 cyclists that stayed in local hotels, visited local restaurants and made a significant contribution to the local economy. Cyclists and government officials have become aware of an increasing trend in verbal abuse and threats to cyclists by motorists, and are concerned that such acts will discourage cyclists from visiting. If the trend continues, the resulting negative impact on the otherwise peaceful and friendly environment and economy of the county could be devastating. The county does not want to become known as unfriendly to cyclists and others. In July, a group of 35 cyclists and 15 law enforcement officials, led by Sheriff Borders, met to consider possible solutions. 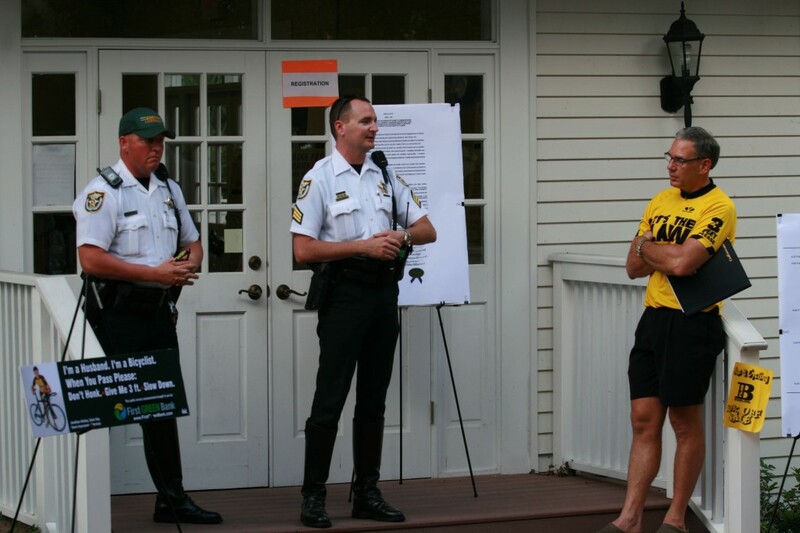 FBA was invited to introduce the Bicycle Law Enforcement Program. The most important outcome of the meeting was the agreement to form a continuing relationship to address known problems and others that may arise in the future. Some cyclists are also guilty of contributing to the problems by violating the laws and contributing to an unfavorable image of bicyclists as scofflaws. The working relationship of cyclists, law enforcement and government officials will foster not only better treatment of cyclists, but also improve cyclists’ compliance with the laws. A winning resolution for all! In October, a Bicycle Summit was held in Mt. Dora to discuss and emphasize the continuing efforts of the partnership of the cycling community and law enforcement. They are pursuing a number of actions to publicize the importance of cooperative use of the roadways. Relationships such as this are the key to understanding and resolving problems and improving the roadway environment and the quality of life of residents and visitors. Apparently no progress has been made in Lake County since this was published. This week alone I have been forced off CR452 by a semi-truck, struck by a school bus as I approached a stop sign on Fish Camp Road at CR44 (he started his pass less than a bus length away from the stop sign and then right hooked in front of me to turn right onto CR44), swung at by a passenger in a mini-van on the Haynes Creek bridge as they screamed at me to get on the shoulder, screamed at twice to get off the road within 100 yards on CR473 while in the far right of five lanes, screamed at on Goose Prairie Road to get off the road because the other lane was blocked by someone turning left and yielding to my right-of-way (this driver passed me within inches when he could get partially into the opposite lane), passed going through the intersection of CR44 and CR452 making me brake and on-coming traffic to swerve to avoid a collision, three cars passed me in unison on CR44 just west of CR452 forcing all on-coming traffic to leave the roadway, and others too numerous to mention. An all of these occasions I was following ALL of the rules of the road (i.e. using hand signals, obeying traffic control devices, etc.) and trying to avoid main roads like CR452 and CR44 as much as I could. Can anyone tell me how to get this to stop? A while back I was told by Rick Pitner, the person representing the cycling community in this cooperative effort, that he had to step down and that no one was willing to come forward to replace him. 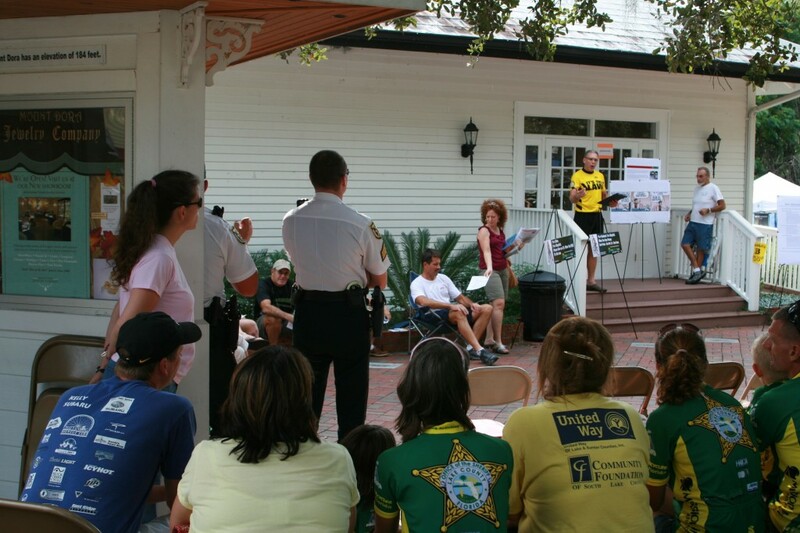 The Sheriff and the deputies that I was working with wanted to do more, but couldn’t without the cyclists’ involvement. I don’t know the present status. This is a common problem in the cycling community. We tend to complain among ourselves but don’t take effective action. Everyone wants things to improve, but few are willing to do what is required. It is not easy. Too often, cyclists expect some else to do it for them. Although you are riding lawfully, my guess is that there are still groups out there that are not, contributing to the on-going conflict. I recommend that you get a group of cyclists, bike clubs and bike shops together and again approach the Sheriff’s Office, police departments and County Commission and try to revive the effort. Until we are willing to stand up for ourselves in an organized way, we will continue to have these problems. 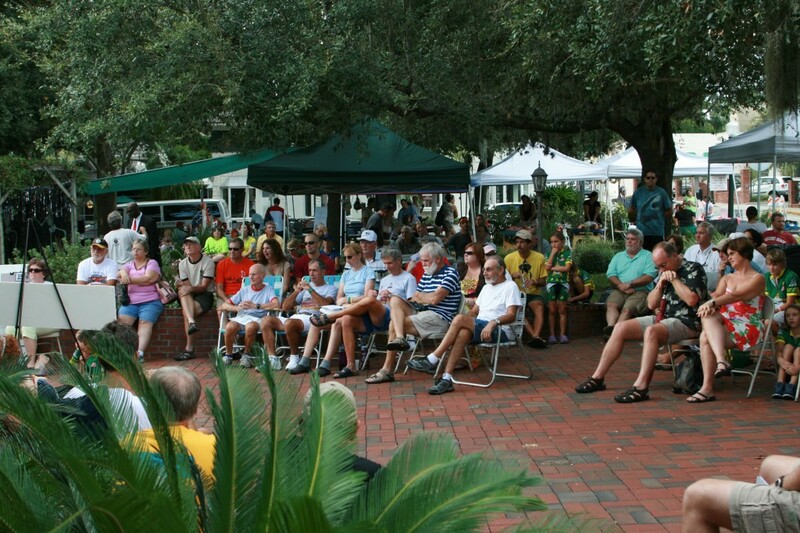 You may want to encourage all your cycling friends to join the Florida Bicycle Association also. I assume you are a member. That is the only state-wide organization working for cyclists. State law requires bicycles to ride single file in the right side of the lane when possible. Truthfully – it’s ALWAYS possible. The phrase “share the road” works both ways – or should. Bicycle riders seem to love blocking traffic on windy roads. Riding on roads where speed limits are 45-55 is not a wise decision. I’ve never seen a bicycle stop at the stop signs in our area which just adds to the dislike of bicycles by local residents. Why do autos have to stop and not bikes? There is no state law that requires bicyclists to ride single file on the right side of the lane when possible. There are specific circumstances that require bicyclists to ride as far to the right as is practicable. Bicyclists are not required to keep right when passing, preparing for a left turn, when avoiding any unsafe condition or potential conflict, and when traveling the normal speed of traffic. Also, bicyclists are never required to keep right in a substandard-width lane. A substandard-width lane is one that is too narrow for a motor vehicle and a bicycle to safely travel side-by-side within the lane. The typical lane in Florida is 10-12 feet wide. The Department of Transportation says that is not wide enough for most motor vehicles to safely pass a bicycle within the lane, and the minimum lane width to do so is 14 feet. Motorists overtaking a bicycle in a substandard-width lane, no matter where in the lane the cyclists is riding, must wait until the adjacent lane is clear of on-coming traffic to at least partially change lanes to pass. A motorist passing a bicyclist in a narrow lane when there is on-coming traffic is certainly a potential conflict. The cyclist taking the lane is communicating to the overtaking motorist that the lane is too narrow to safely share and to please wait until it is safe to change lanes to pass. You may not have witnessed it but I have actually seen motorists pass through stop sign intersections and even red lights without stopping. Bicyclists are operating vehicles and must comply with traffic laws just as must motorists, including stopping at stop signs. If the laws are not being enforced to your satisfaction in Lake County, I recommend contacting local law enforcement agencies. You and the other residents should also be aware of the considerable economic impact that bicycling events have in Lake County. 2 Pings/Trackbacks for "Lake County Bicycle Summit"